Around Memorial Day, there’s always a renewed focus on our service men and women and the sacrifices made by America’s veterans. The men and women of America’s armed forces have fought for freedom in the world’s most dangerous places, from the beaches of Normandy to the mountains of Kandahar. When they return home after years spent in harm’s way, our veterans deserve a home of their own, the support of their loved ones and the ability to earn a decent living. It’s not just the military or the government’s responsibility to help veterans in need, but everyone’s responsibility … public and private sectors; government, nonprofits and for profit companies working together toward a common goal. Reports by the Department of Veterans Affairs and the U.S. Department of Housing and Urban Development show that the number of veterans seeking emergency shelter or transitional housing continues to shrink. While it’s certainly encouraging, this drop is overshadowed by a looming catastrophe down the road. Middle-aged vets are moving off the streets, but younger vets from the current wars are only just now starting to demonstrate the mental and addiction disabilities that ultimately lead to homelessness. Many of these young vets remain ignored because their injuries are on the inside, in the form of PTSD and what we’re now coming to know as “moral injury,” without any visible outward signs. Services to veterans should begin before someone reaches a moment of crisis. Volunteers of America is one of many private service providers working on the front lines, in collaboration with government agencies like the VA and HUD, to bring veterans off the streets and provide the help they need. In this age of budget cuts, it is crucial that we protect funding for private organizations that help veterans overcome poverty and the disabilities of battle today instead of waiting for them to sink into homelessness. Increasingly, Volunteers of America has included in our services for veterans a new focus on moral injury … a relatively recent term used to describe a crisis that soldiers have faced for centuries, the internal suffering that results from doing something against your moral code. In essence it is a wound to the conscience. To increase public awareness and understanding, we recently published a new book of essays, “The Momentum of Hope: Personal Stories of Moral Injury,” now available for purchase on Amazon.com. To learn more about Volunteers of America’s programs for veterans and other suffering from moral injury, visit www.voa.org/moral-injury. We encounter a wealth of opportunity every day to make a difference … one life at a time. 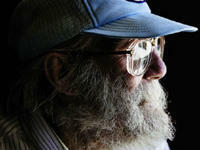 Volunteers of America weaves a safety net around veterans that helps return them whole into mainstream society. Thousands of soldiers have returned from Iraq and Afghanistan, and we must anticipate their needs. Now is the time to tackle this challenge.